Tremendous advances in understanding how the mind learns provide new insight into improving instructional techniques. 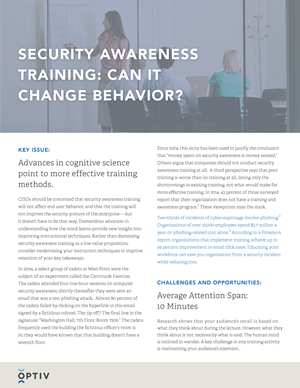 Rather than dismissing security awareness training as a low value proposition, consider modernizing your instruction techniques to improve retention of your key takeaways. Read this brief to learn how to leverage the latest thinking in cognitive science to improve training.